Instagram has more about custom locations and their implications here. 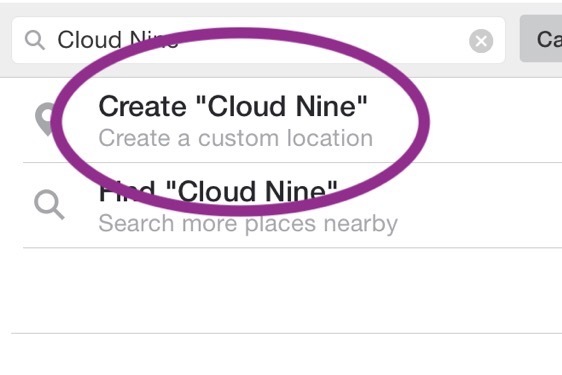 When it says “Find or create a location,” type in the custom location you’d like to create. Then select “Create a custom location,” and your custom location will appear. When you publish, the custom location will be grayed out. 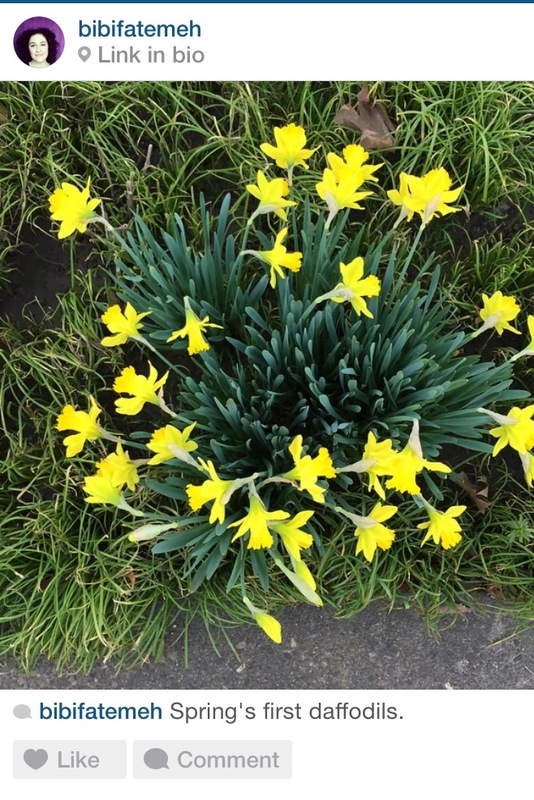 Here’s where you need to be careful: if the image has location data (or geodata) embedded in it, the grayed out location will show the location from where you took the picture (this is the first type of custom location). If you have removed geodata from your image, the grayed out location will show the location from where you’re posting the picture if your location services are set to “While using the app.” This is the second type of custom location, and I don’t recommend it unless you’re 100% okay with anyone knowing your exact location when you post something. If you’re curious about getting geodata on your pictures, I wrote about it here. make sure you have saved the picture without geodata. 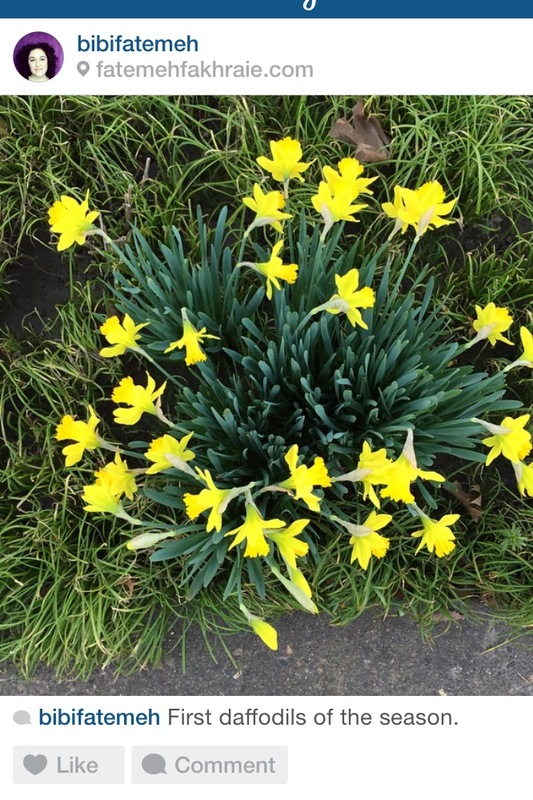 If the image has geodata, this will appear when you upload the image. When uploading the image, you’ll use the same steps above. Because your location settings are turned off, you’ll get a pop-up that says “Turn on Location Services” with instructions on how to do this. Ignore it, pressing “Cancel.” Then go about creating your own custom link as normal. Note: if you’ve created a custom link before that has geodata attached to it, you won’t be able to edit it or recreate the custom location without geodata. So be careful what you’re making the first time! And there you have it! Now you can make custom locations to promote your website, too! I hope you find this helpful. Send me your thoughts and questions in the comments. ← Is there a shortage of content marketers? Yes and no. That sounds so frustrating! Reach out to Facebook for Business–they’ll be able to help. You should also use Moz to figure out if all your digital locations are matching up with your real-life locations. My business is coming up as a location, but it is two old locations, one is from over 10 years ago before I was even using Facebook or Instagram, I’ve moved 3 times since then. I have been searching for over an hour simply trying to find a way to edit my old addresses. It obviously has got these wrong locations from some old business listing online somewhere. I have no idea. I have a new Facebook business page that I started a few years ago but that location does not show at all. Should I do the check in and create yet another 3rd location or is there some way to edit the old ones or merge them into one. If Facebook don’t provide an easy way for business owners to edit then the whole location thingy is going to be in an even bigger mess in another 10 years. These things shouldn’t be so hard to figure out. I give up! Good question, Laura! I’m not sure about that. You might want to reach out to Instagram directly. Well what are you supposed to do if you don’t have a Facebook?? I don’t so is there another way? Is anyone having trouble where they add a FB location but Instagram just can’t find it?? I’ve checked my place settings multiple times and its def set to public but still can’t seem to find it in instagram. Thank you for the article. o i have my location as “never” and when i want to share a picture, i do not see the option to create/name a location??? Any idea why? That’s right, Zack. Ever since FB bought IG, they’ve been using FB locations instead. Apparently, the custom geotags are linked Facebook directly and not to Instagram. It’s a huge waste of time and energy, in my opinion. I had to do it through my phone (iphone), because the feature was not available on my computer (chrome). Hopefully they revert this and go back to the regular way of tagging photos in Instagram. Shamell, I’m not sure what the future of custom locations is. I’ll be watching IG to see if they go back on it–plenty of people are unhappy. urrghh thank god someone talk about new update. ever since i updated mine this morning, i can’t custom made the location anymore. any way to tackle this? or we just sit in until the they fix it? thanks you though for your time. Hey, Chanler. If you’ve updated your IG, you won’t be able to: the newest update removed the capability entirely. I still can’t figure out how to create custom locations after I have already posted the picture?? I noticed this last night! It does still work, but now you have to enable location use when using the app. Then, if you’ve got geotags on your picture, those locations should come up fine. Hi! I don’t think you can edit a custom location; you’ll probably just have to delete it. Once you put in a custom location, it can’t be changed. Sorry to be the bearer of bad news! do you have any idea how to edit custom locations on instagram? i accidentally added my home location instead of the actual location because there was no signal at that place where i actually was. Hi, Ella! If you followed all the steps, it should work. Double check your location settings for Instagram; they should be turned OFF so IG can read the geotags on your photo. Hi, lady! No, other people cannot find or use your custom location for their own posts. It might seem that way if they create their own location with the same name, but it won’t bring up everything with that location name. I did everything and it appears where I am at the top but when I click on it, it says where I am currently and not where I was..did I miss a step? Hi and thank you a lot for your helpful site. Can other people in same area find and use my custom location on their own posts? I dont want that but at least for my the custom location that option is avaible every time I’m at that location even if there is no post on Instagram on that specific custom location anymore. Thank you so much for answers! Thanks, Frank! That’s really helpful! To delete your location, you have to go to your photo map and press “Edit”. Then you can select the photo(s) you want to remove then press “Done”. Hope this helps! You’re welcome! And just as an update – the two pages merged successfully and I can now check in on Instagram without having a duplicate Facebook page! Thanks, Kelsey! I’m glad to hear I was right haha! Thanks for the helpful link! Hey, Nicole. Unfortunately, I haven’t figured out a way to delete custom locations. If anyone else has, please share! Since I already had a Facebook page and had to create a custom location to check-in, I then had to go in and merge the two pages together. We will see if this was a good or a bad idea (once of the fine print notices said that I may lose all previously uploaded content from one of the pages I’m merging). After looking into why our business wasn’t showing up as a location on Instagram, I FIGURED IT OUT!! Haha! And I thought I’d share with you. You were absolutely correct. 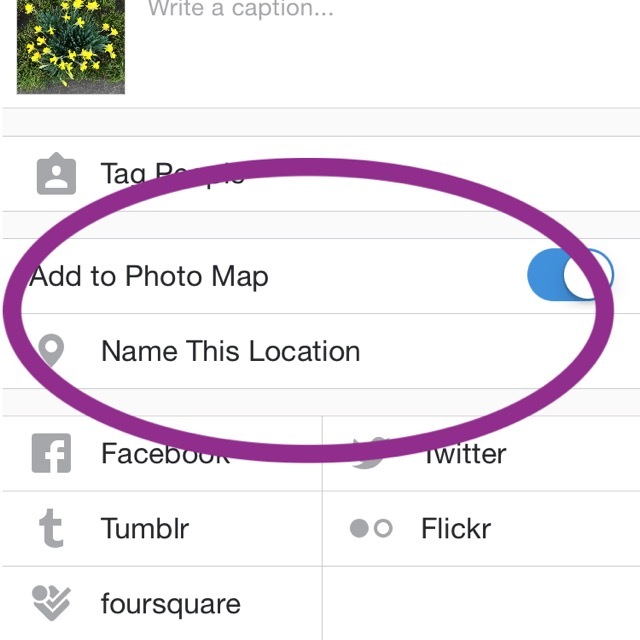 In order for Instagram to recognize a location, you must “Check in” with it on Facebook first. That enables the location to appear in Facebook Places, which, in turn, enables it to appear in Instagram. Looks like I’ve created a custom location incorrectly when trying to enter my website address. Is there a way to delete or edit once you’ve created a custom location? Thanks! Sorry to hear this! If you have to create a location every time, it may be because your location isn’t currently listed as a location in Facebook or Google–Instagram might use Facebook Places since it’s owned by Facebook. It might be worth a look to ensure your business is listed on both. Good luck! Just read this article on how to create custom locations which are greyed out. This is happening to me, but I do not want this at all. I am currently trying to Create a new Geotag for my new business. When I upload a picture at the location, I have to create a new location. However, the location that comes up is Grey instead of blue. I have enabled location services for both Instagram and the Camera Function. Is there a reason why everyone else can create a Blue Geotag except for me? I do not believe I have changed my settings differently to my other friends who use Instagram.